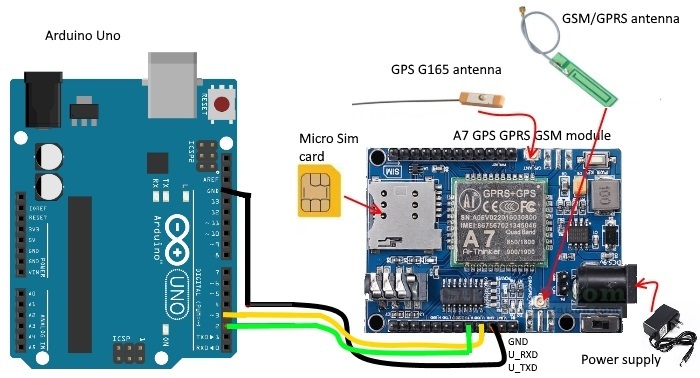 In this project we will learn how to connect A7 GSM GPRS GPS module to Arduino board and use it to call, write SMS, get GPS data, update firmware. 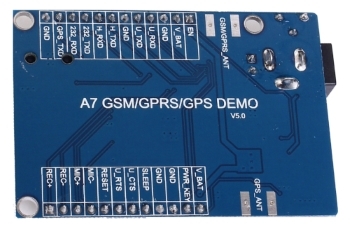 A7 module is a GSM/GPRS/GPS function module. It supports GSM/GPRS Quad-Band（850/900/1800/1900） network. Also, it supports voice calls, SMS messages, GPRS data service and GPS function. We can use it make a simple phone. The module is controlled by AT command via UART and supports 3.3V and 4.2V logical level. You can find A7 datasheet here and specification here. You can find the AT commands list here. Other information about A7 is here. 1. Configuring the A7 GSM GPRS GPS module with Arduino board. 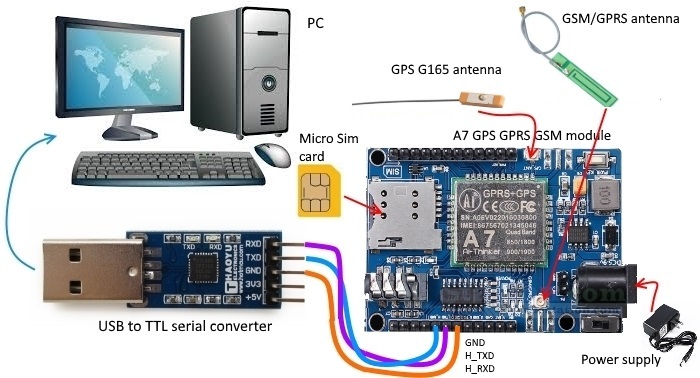 Attach GSM, GPS antennas to A7 GSM GPRS GPS module. Insert a valid unlocked SIM card to SIM card slot of A7 GSM GPRS GPS module. You can power up A7 GSM GPRS GPS module with power supply adapter (5-9DC 2A) POWER JACK interface, with V_IN pin (5-9VDC 2A) and with Lithium Ion battery V_BAT (3.5-4.2VDC). We used the 6V DC 2A power adapter. Push the power switch to ON position - TO THE RIGHT. When the module powered on, the LED power on indication (POWER) will be ON. Press MODULE START UP KEY (PWR KEY) for 2 seconds. Status indication LEDs (D2) will be ON. By default this module respond on 115200 bps. So if you did not change the baud rate before - modify ATcommandssketch - replace both baud rates from 9600 to 115200. Open up serial monitor and set your baud to 115200 baud and select Both NL&CR. A7 GPS GPRS GSM module does not work well with Arduino on 115200. We suggest you to change that baud rate to 9600. Enter "AT+IPR=9600" and press Send button. Returns "OK". It is 9600 bps now. Modify ATcommandssketch - replace both baud rates from 115200 to 9600. Your serial communication is more stable now. Requests TA model identification. Enter "AT+GMM" and press Send button. Returns "A7 OK". Requests TA revision identification. Enter "AT+GMR" and press Send button. Returns "V03.03.20161229019H03 OK". This is the firmware version. Requests TA manufacturer identification. Enter "AT+GMI" and press Send button. Returns "Ai Thinker Co.LTD OK". Requests manufacturer specific information about the TA. Enter "ATI" and press Send button. Returns "Ai Thinker Co.LTD A7 V03.03.20161229019H03 OK". Reboots the module. Enter "AT+RST=1" and press Send button. Call Control Commands. If you call the cell number of Micro Sim Card then message RING will be shown. 1) Answer a call. Enter "ATA" and press Send button. Returns "+CIEV: "CALL",1 CONNECT"; 2) Make a call. Enter number to call "ATD+37163055289" and press Send button. Returns "ATD+37163055289 OK +CIEV: "CALL",1 +CIEV: "SOUNDER",1 "; 3) Disconnect existing call. Enter "ATH" and press Send button. Returns "+CIEV: "CALL",0 OK"; 4) Insert the headset into the headphone/earphone jack, enter "AT+SNFS=0" and press Send button to enable them. Returns "OK" ("AT+SNFS=1" used for loudspeaker selection). SMS Commands. 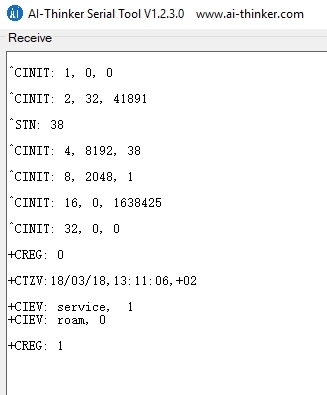 If you send SMS, for example, with Test word to A7 GPS GSM GPRS module you will get this info "+CIEV: "MESSAGE",1 +CMT: "+3712345678",,"2018/03/18,15:33:08+02",145,17,0,0,"+37068499190",145,4 Test". 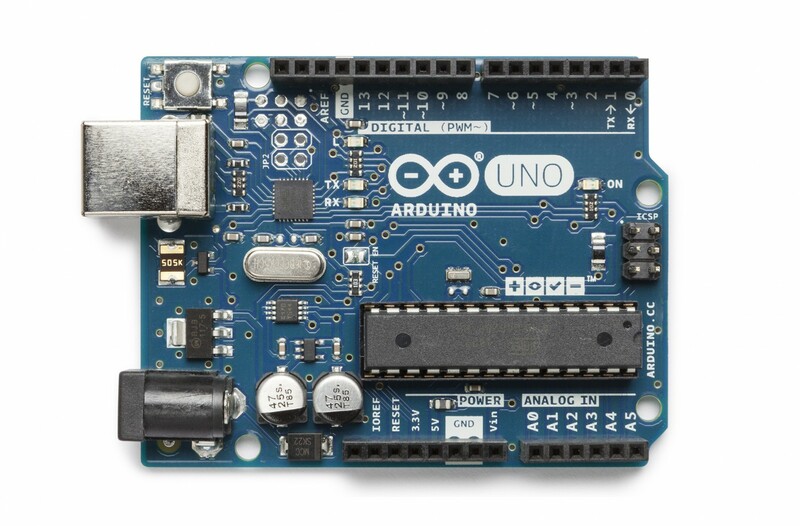 Use the sms sketch attached to send SMS message from Arduino IDE. GPS commands. By default this mode is OFF. You need to enable GPS every time (if you power off the module GPS will switch off too). 1) Sets GPS on. Enter "AT+GPS=1" and press Send button. Returns "OK"; 2) Sets assisted GPS(AGPS) on. Enter "AT+AGPS=1" and press Send button. Returns "+CIPRCV:26 +TCPCLOSED:0 OK CONNECT OK OK"; 3) Get GPS information. Enter "AT+GPSRD=1" and press Send button. Returns "OK" and sends GPS NMEA data to serial port. This is the raw GPS data. If you want to stop data from GPS enter "AT+GPSRD=0" and press Send button.Returns "OK". Check the list of all AT commands here. You can power up A7 GSM GPRS GPS module with power supply adapter (5-9DC 2A) POWER JACKinterface, with V_IN pin (5-9VDC 2A) and with Lithium Ion battery V_BAT (3.5-4.2VDC). Set the baud rate 115200, data bits 8, parity bits none,stop bits one. Call Control Commands. If you call the cell number of Micro Sim Card then message RING will be shown. 1) Answer a call. Enter "ATA" and press Send button. Returns "+CIEV: "CALL",1 CONNECT"; 2) Make a call. Enter number to call "ATD+37163055289" and press Send button. Returns "ATD+37163055289 OK +CIEV: "CALL",1 +CIEV: "SOUNDER",1 "; 3) Disconnect existing call. Enter "ATH" and press Send button. Returns "+CIEV: "CALL",0 OK";4) Insert the headset into the headphone/earphone jack, enter "AT+SNFS=0" and press Send button to enable them. Returns "OK" ("AT+SNFS=1" used for loudspeaker selection). SMS Commands. If you send SMS, for example, with Test word to A7 GPS GSM GPRS module you will get this info "+CIEV: "MESSAGE",1 +CMT: "+3712345678",,"2018/03/18,15:33:08+02",145,17,0,0,"+37068499190",145,4 Test". 1) Select SMS message format Enter "AT+CMGF=1" and press Send button. Returns "OK". This is to read and write SMS messages as strings instead of hexadecimal characters. 2) Send SMS message. Enter "AT+CMGS=”+37163058092”" and press Enter button. Replace the above phone number with your own cell phone number. The modem will respond with: > You can now type the message text and send the message using the - key combination: TEST After some seconds the modem will respond with the message ID of the message, indicating that the message was sent correctly: "+CMGS: 62". The message will arrive on the mobile phone shortly. GPS commands. By default this mode is OFF. You need to enable GPS every time (if you power off the module GPS will switch off too). 1) Sets GPS on. Enter "AT+GPS=1" and press Send button. Returns "OK"; 2) Sets assisted GPS(AGPS) on. Enter "AT+AGPS=1" and press Send button. Returns "+CIPRCV:26 +TCPCLOSED:0 OK CONNECT OK OK"; 3) Get GPS information. Enter "AT+GPSRD=1" and press Send button. Returns "OK" and sends GPS NMEA data to serial port. If you want to stop sending data to serial port enter "AT+GPSRD=0" and press Send button. Returns "OK" . Follow the steps as described above. Check your module firmware version. Enter “AT+GMR” and press Send button. Always make sure that you have your firmware version on hands so you can restore previous version if next firmware version is bad. Firmware download link: GPRS firmware release. We did not find any firmware files for A7 IC but with this link you can get firmware files for A6, A9 too. 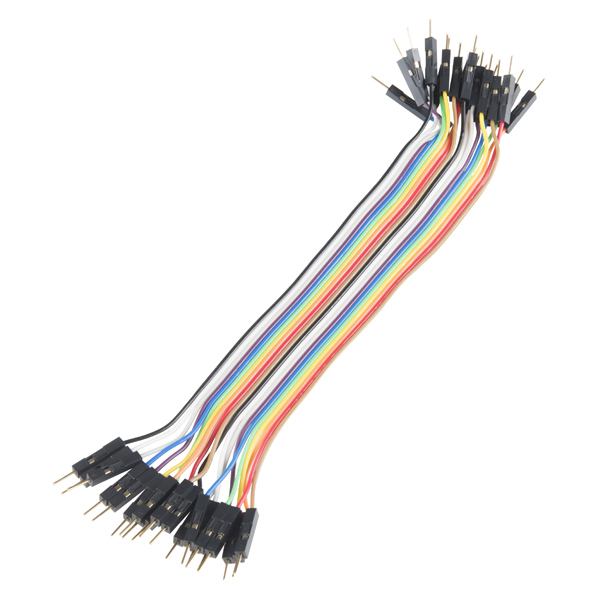 Do wiring for firmware update. Download Ai-Thinker GSM Module Download Tool here. Unzip the package and open Ai-Thinker GSM Module Download Tool v11.00.04.exe. Select the firmware to be downloaded. Press Start button. 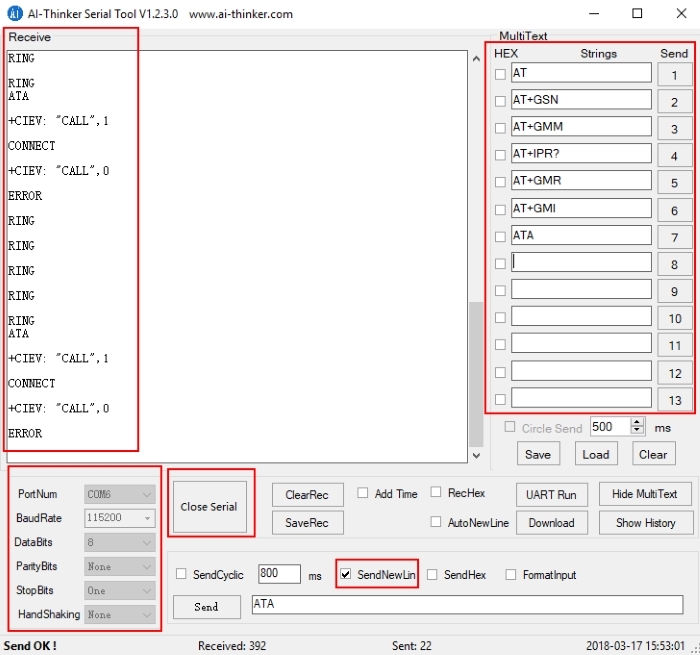 The Ai-Thinker GSM Module Download Tool will automatically detect the serial port for download. When a download finished click the X in the upper right corner to close the Ai-Thinker GSM Module Download Tool. Enable GPS. Enter "AT+GPS=1" and press Send button. Returns "OK". Set assisted GPS(AGPS) on. Enter "AT+AGPS=1" and press Send button. Returns "+CIPRCV:26 +TCPCLOSED:0 OK CONNECT OK OK". GPS information you can get in two different ways: 1. Using GPS_TXD pin of the A7 GPS GSM GPRS module instead of U_TXD and get it directly from GPS; 2. 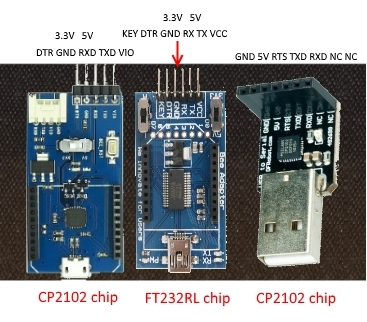 Send GPS data to serial port. Enter "AT+GPSRD=1" and press Send button. Returns "OK" and sends GPS NMEA data to serial port. If you want to stop sending data to serial port enter "AT+GPSRD=0" and press Send button. Returns "OK" . 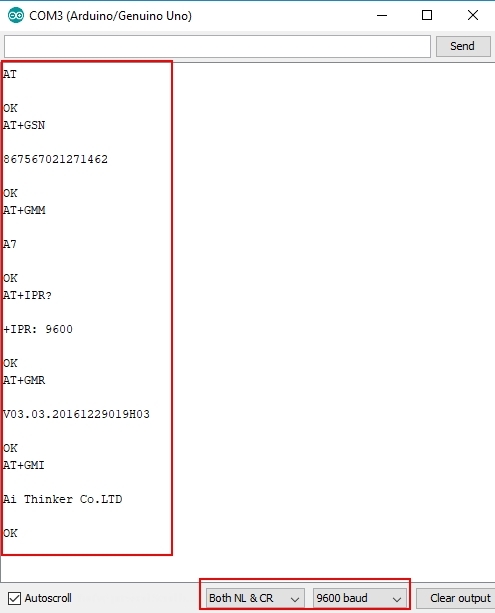 You will see the GPS data in serial monitor. We have attached 2 sketches (call and sms). You need to change pins (to use hardware serial communication for these sketches). 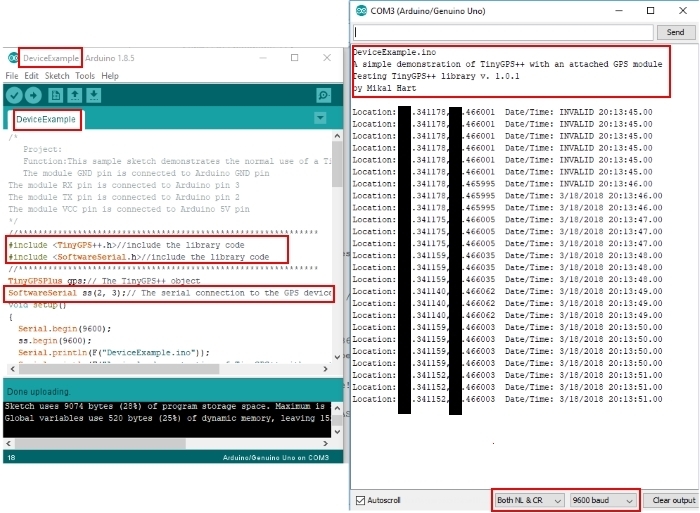 Making a CALL.Remember to disconnect connections at Rx/Tx before uploading the code.The mobile number to be called is stored in an Array of char variable. In the void setup() code we begin Serial communication at 9600 baud.Though the default baud rate of A7 GSM is 115200, it is effective to use 9600 baud. ATD command followed by the number to be called is used to make a call. A semicolon at the end is not a must.The call will be made even if you do not use a semicolon. After a delay of 8 secs ATH command is sent to terminate the call. You can open the Serial monitor of Arduino & watch the AT commands landing.You should set the baud rate as 9600 in the Serial monitor as well. The void loop() function is left empty.In case you try the code inside loop , the call will be repeatedly made for ever. Sending SMS. 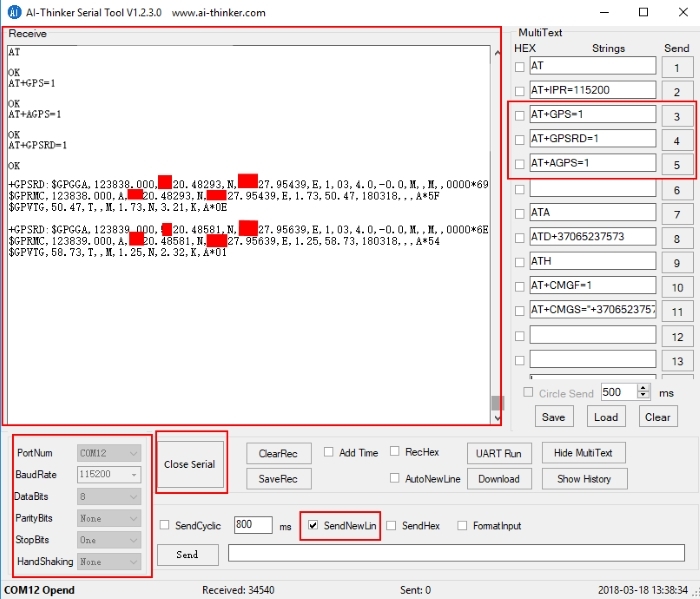 AT+CMGF=1 which will allow you to read and write SMS messages as strings instead of hexadecimal characters. Serial.println is used to send the AT command with a New line (Enter). After a delay of 2 seconds next command AT+CMGS=”phone_no.” is sent.The target phone number is to be given within double quotes. 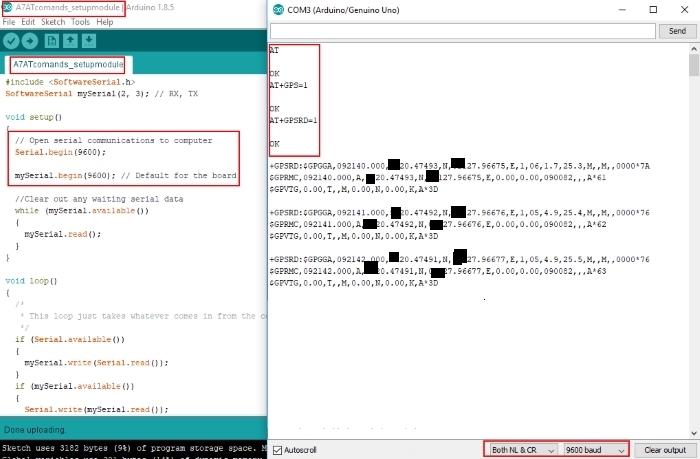 Note the usage of Serial.write(0x22) which is the ASCII equivalent for double quotes. 0D followed by 0A are the ASCII equivalents for CARRIAGE RETURN & LINE FEED. The delay of 2 seconds is a must after setting the GSM to text mode AT+CMGF=1. Try this code without the delay, you won’t get response. After the 0D , 0A a delay of 2 seconds is provided & then the message to be sent is given. CTRL+Z is finally given to send the message. This is provided by the ASCII equivalent 1A or char(26). 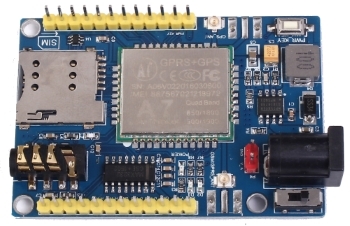 We have learnt how to connect A7 GSM GPRS GPS module to Arduino board and use it. Standalone GPS provides first position in approximately 30–40 seconds. A standalone GPS needs orbital information of the satellites to calculate the current position. The data rate of the satellite signal is only 50 bit/s, so downloading orbital information like ephemerides and the almanac directly from satellites typically takes a long time, and if the satellite signals are lost during the acquisition of this information, it is discarded and the standalone system has to start from scratch. 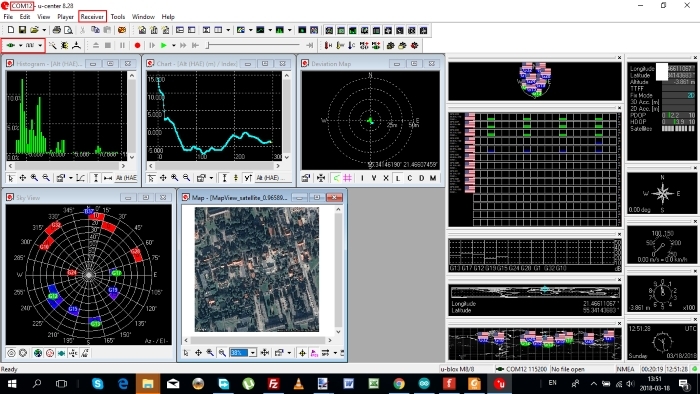 In A-GPS, the network operator deploys an A-GPS server, a cache server for GPS data. These A-GPS servers download the orbital information from the satellite and store it in the database. An A-GPS-capable device can connect to these servers and download this information using mobile-network radio bearers such as GSM, CDMA, WCDMA, LTE or even using other radio bearers such as Wi-Fi. Usually the data rate of these bearers is high, hence downloading orbital information takes less time. In MSA mode A-GPS operation, the A-GPS capable device receives acquisition assistance, reference time and other optional assistance data from a mobile service provider. The mobile service provider continuously logs GPS information (mainly the almanac) from the GPS satellites using an A-GPS server in its system. With the help of the above data (the data received from the mobile device and the data already present in A-GPS server) the A-GPS server calculates the position and sends it back to the A-GPS device. In MSB mode A-GPS operation, the A-GPS device receives ephemeris, reference location, reference time and other optional assistance data from the A-GPS server. With the help of the above data, the A-GPS device receives signals from the visible satellites and calculates the position. TinyGPS++ library. Download, unzip and add to libraries in our PC, for example C:\Users\toshiba\Documents\Arduino\libraries. This link you can find in Preferences of Adruino IDE program which installed in your PC. The TinyGPS++ library allows you to get way more information than just the location, and in a simple way. Besides the location, you can get: date, time, speed, course, altitude, satellites, hdop and so on. You can read more about the TinyGPS++ library here.